Former Man Utd boss Louis van Gaal has reiterated that he wasn’t best pleased with Ed Woodward’s handling of the way in which he was replaced at Old Trafford. The 67-year-old was in charge at United between 2014 and 2016, winning 54 of his 103 games in charge, picking up 25 draws and suffering 24 defeats, giving him a win percentage of 52.43%. Despite delivering the FA Cup in 2016, it wasn’t enough for the Dutch tactician to keep his job, as he was eventually replaced by Jose Mourinho. Speaking about his exit from Man Utd as well as the months leading up to it, Van Gaal has conceded that he wasn’t happy with how chief executive Woodward handled it and that in turn made his life more difficult. 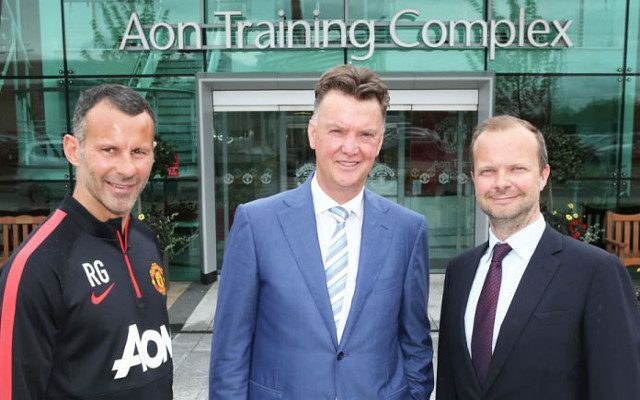 “I can imagine Woodward chooses Mourinho,” Van Gaal told BBC Sport. “He is a top coach. He has won a lot of titles. More than me. Van Gaal has never been one to bite his tongue, and clearly he has no issue in being honest about the issues in the latter stages of his tenure in Manchester. Clearly, he was far from impressed with the way in which his exit was handled, by Woodward in particular and still feels disappointed now.